I'm not sure where I should report this kind of errors. I've found error in online mock exams for this book. "Which of the following is least likely to be supported by your JDBC driver?" 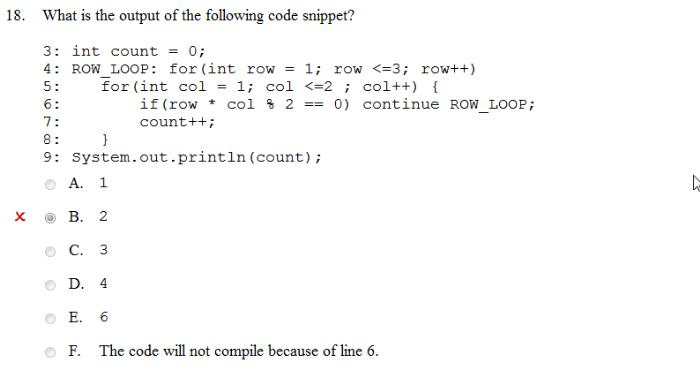 But if you check answer for this question it shows that answer B is correct, which is: ResultSet.CONCUR_UPDATABLE"
I think this should be corrected. This forum is the right place. I moved your post to a new thread so it isn't "buried" amongst comments that were addressed. (If you aren't sure, starting a new thread is preferable). Which of the following is least likely to be supported by your JDBC driver? I was all set to write why B is correct. But it isn't. Our book event supports E as an answer. You are right. I left what I wrote crossed out below in case anyone is curious.